More than four-fifths (82 percent) of Class of 2015 bachelor’s degree graduates were employed or in graduate school within six months of graduation. Graduates studying the computer sciences enjoyed the highest full-time employment rate (76 percent). Overall, the Class of 2015 outpaced the Class of 2014 in terms of full-time employment (58.4 percent vs. 55.4 percent) and acceptance into graduate/professional school (17.7 percent vs. 16.4 percent). In comparison to their 2014 counterparts, fewer 2015 graduates were still seeking employment (11 percent vs. 13.9 percent) or still seeking acceptance into graduate/professional school (3.2 percent vs. 3.6 percent). The Class of 2015 study is the second iteration of the survey and includes outcomes data for graduates at all degree levels—associate, bachelor’s, master’s, and doctorate. The inaugural survey, conducted for the Class of 2014, captured data for associate and bachelor’s degree graduates. The Class of 2015 report provides comparisons between 2015 and 2014 graduates at the bachelor’s degree level. 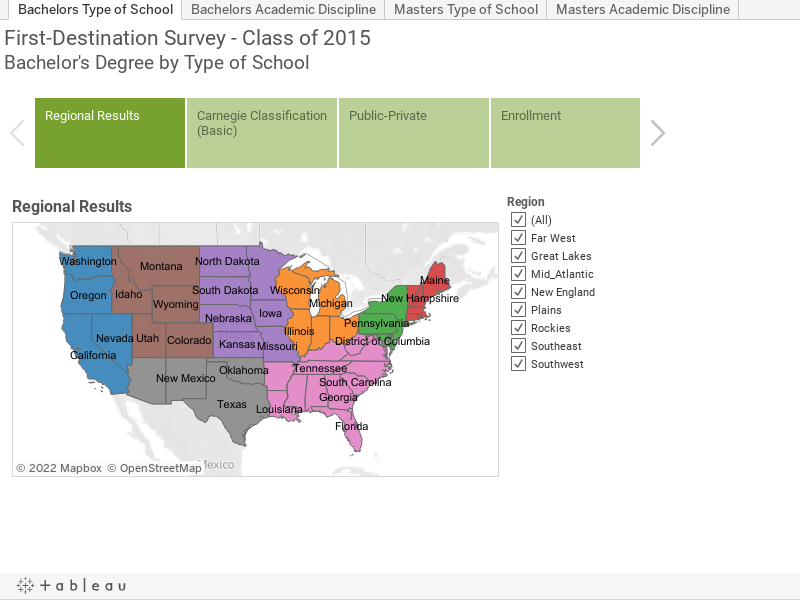 A total of 279 colleges and universities nationwide, representing nearly half a million graduates, provided data for Class of 2015 associate, bachelor’s, master’s, and doctoral degree graduates. Overall, data were reported for nearly 244,000 bachelor’s degree graduates in 34 broad disciplines and 185 majors, making this study the most comprehensive view of bachelor’s degree outcomes available. The Class of 2015 is defined as those graduating between July 1, 2014, and June 30, 2015. Data were collected through December 30, 2015, and reported to NACE in March 2016.